He is Here from Mustard Seed Communities on Vimeo. 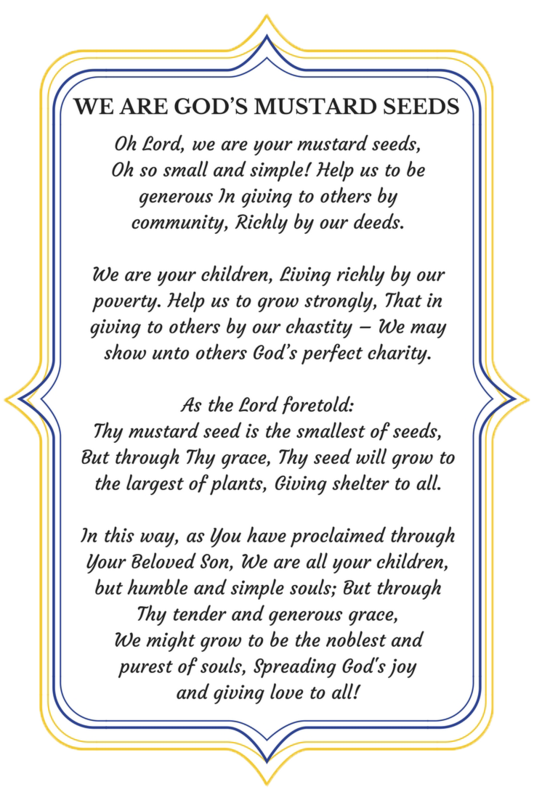 Mustard Seed Communities is built upon a spiritual foundation and is sustained by spiritual nourishment – particularly the Holy Eucharist. Central to the charism of this ministry is Adoration of the Blessed Sacrament, recognizing that Jesus Christ is ever-present in our daily life and work, and at the same time expressing gratitude for His invitation, gifts, and blessings. 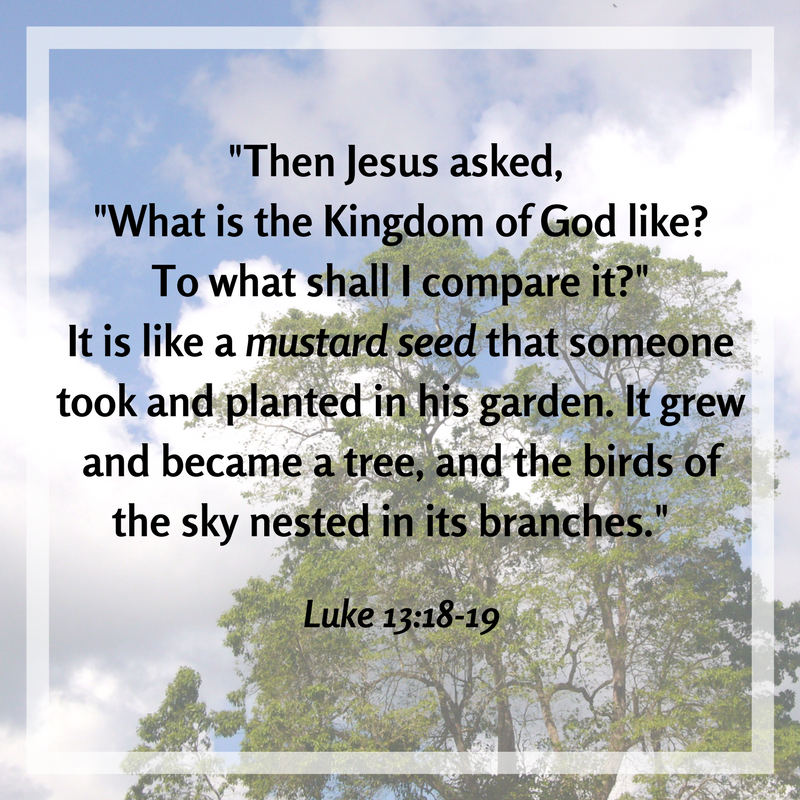 As such, the constant themes which embrace MSC’s Christ-centered life are “He is Here” and “Thank You Lord”. The spiritual well-being of the residents, staff, and volunteers of MSC permeates every aspect of MSC’s activities and informs the path for development and survival of the organization. Each apostolate, or home, maintains a chapel for community worship and the celebration of the sacred Mass as well as a perpetual adoration room for time in the presence of the Holy Eucharist. The Formation Center and Program will promote vocations and train future Missionarii Grani Sinatis (MGS) Priests, Deacons, and Sisters to serve MSC throughout the many apostolates and programs across the world. Currently under construction at Jacob’s Ladder in Jamaica, the Center will include accommodations for 12 brothers, conference and training rooms, a library, Chapel, and a rectory. Sisters will reside at My Father’s House in Kingston. The Mustard Seed Communities logo was designed with the intent to reflect the four pillars at the heart of our organization. In Simplicity, related to the vow of poverty, lies the individual’s inner journey with God as the wellspring of all he or she does. This virtue makes up the vertical pillar of the cross and originates from the poverty of spirit inherent in all God’s children and the simplicity of life: that through the Heart, what we love becomes what we think; that through the Head, what we think becomes what we say; that through the Mouth, what we say becomes what we do; and by the Hands what we do becomes what we love. In Freedom, related to the vow of obedience, we either choose to follow God’s leading or not. This virtue makes up the horizontal pillar of the cross. Ultimately, because of our freedom, we are able to love and serve truly. In Generosity, related to the virtue of chastity, we give of ourselves through our spirit, our gifts, and our time. This virtue makes up the left beam of the shelter. Through generosity we put to death the selfish ways of the flesh. In Community we are best able to grow, learn, live, and love. This virtue makes up the right beam of the shelter. Through community we create a shelter for the Body of Christ – our brothers and sisters in greatest need. In community, we are free to be ourselves, free to express need and to fulfill others’ needs. The open sunbeam at the bottom of the logo represents the Light of Christ, the Word made Flesh, which can be found in the shelter of the Lord. The large crucifix above the sanctuary in Our Lady of Wisdom Chapel at Mustard Seed Communities headquarters, in Kingston, Jamaica was designed by Msgr. 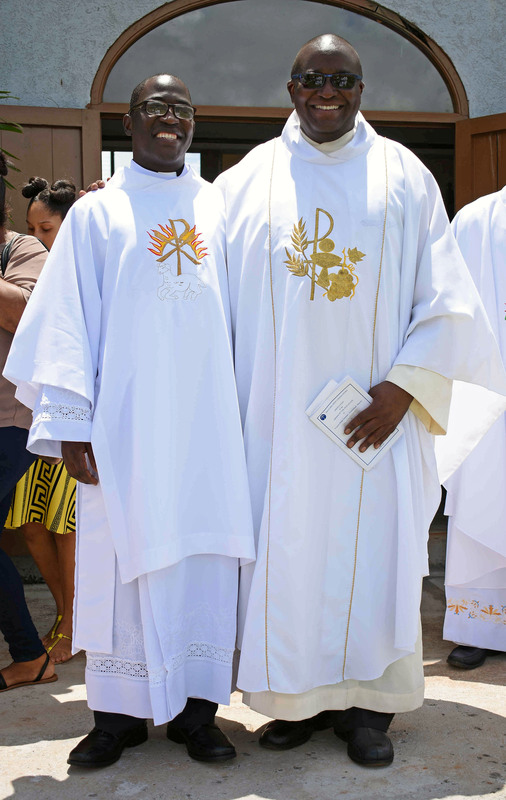 Gregory Ramkissoon, the Founder of MSC. It was constructed by an Irish volunteer and a local Jamaican welder. Its origin begins with an actual cross made of barbed wire now worn daily around the neck of Msgr. Gregory. This precious gift was given to him many years ago by a prisoner on death row whom he had befriended. 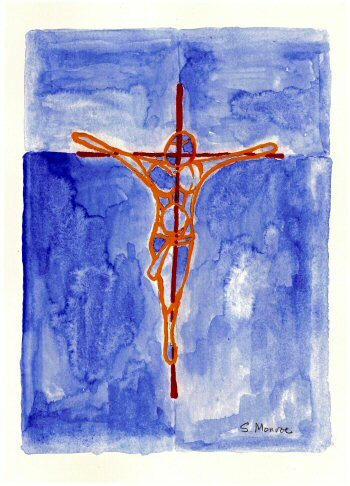 The transparent figure of Jesus represents the risen Christ and the barbed wire cross stands for the sufferings of the world. 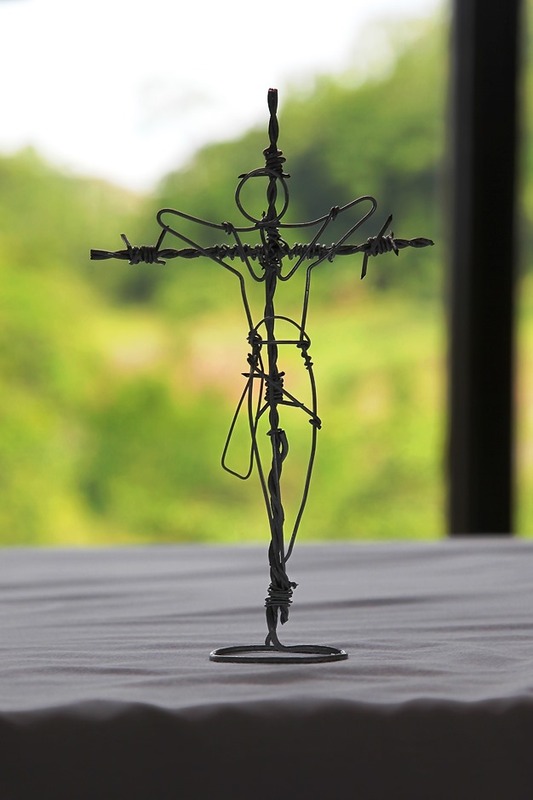 This unique work symbolizes the hope the resurrected Christ brings to those who may feel trapped by the barbed wires of fear, poverty, injustice, illness, or despair. It is particularly vivid when viewed as dawn breaks during early morning prayer in the Chapel. In the darkness, the cross is the only part that is visible, but as the light grows the body of Jesus becomes more apparent, reinforcing Christ as the light amidst the darkness of our lives and as Light of the world.